Suggested by Destroyer Ebirah is definitely a tough Kaiju that you don’t want to mess with. He may not be known as one of the strongest Kaiju out there, but he has still got enough skill to win this. What can a turkey hope to do against such power? None of his attacks will deal any damage here and there’s just no way to win in such a situation. 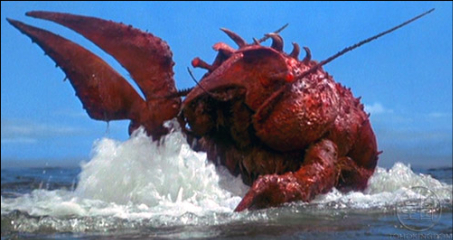 Don’t mess with the sea monster! Ebirah wins. Gearless Joe has returned, but now he’s up against the champion of the ring. This one’s a close fight, but Yuri has more skill as a boxer. His experience and raw skill just make it difficult for Joe to really stand a chance here. There’s also the fact that Yuri has better gear. Should he decide to use it then this fight won’t even be all that close. Still, Joe doesn’t give up so he’ll be sure to get some hits in. 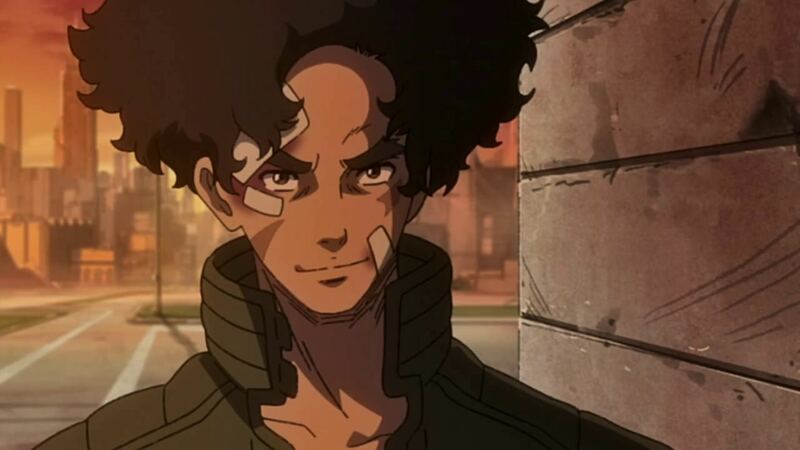 Yūri (Megalo Box) wins. 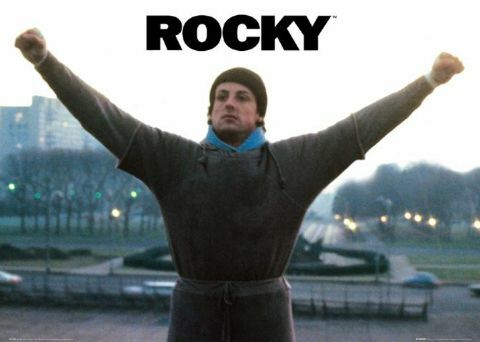 Rocky is a good fighter, but his strategy always involves getting hit a ton and letting the opponent get tired. That’s not going to cut it against a fighter as skilled as Gearless Joe. 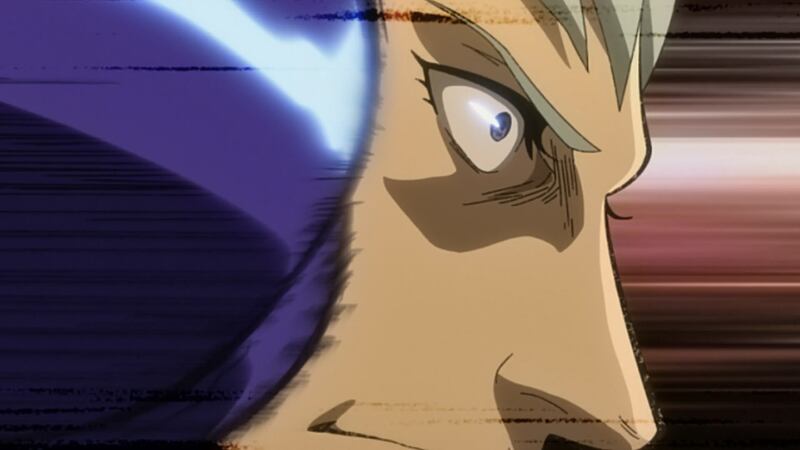 Joe has a lot of speed at his disposal and his attack power is high enough to knock Rocky out. Rocky just won’t be able to keep up with Joe although he can take a lot of punishment so he will drag the fight out for a little while. Gearless Joe wins. It’s time to look at the next big Mario Adventure. This one technically came out a while ago but it ended up being worth waiting for since the Switch title game with both games in one rather than having to buy both Mario and Luigi versions. The New Super Mario Bros series has definitely had a good run and I expect it’ll return with a new game at some point. The gameplay is just too solid to pass up. Of course with the existence of Mario Maker it will have to do something to stay at the top. The plot is fairly basic as Peach is kidnapped once more by Bowser. Unfortunately, Mario and Luigi were unable to prevent him from doing this and are now forced to play catch up. In order to face off against Bowser the plumbers will first need to take down the 7 Koopa Kids and Bowser Jr. Only then will they be able to challenge the King of the Koopas. It’s definitely a nostalgic plot or at least that’s probably what Nintendo is hoping your reaction will be. At the same time you can’t help but think that Nintendo could have done something a little more original right? This plot really has been done over and over again. As always the graphics are definitely excellent. The NSMB series does a good job of making all the characters and levels exciting and colorful without making it too simplified. It does feel like the natural progression of the Mario series and it will be hard to get any better with this art style. Nintendo is at the absolute front here with this game leading the charge. It’s hard to find a better looking Switch game. As for the soundtrack that is naturally pretty hype as well. You’ve got a lot of classic Mario tunes here and a bunch of remixes. Throw them all together with the multitude of levels in the game and you’ll find yourself listening to good music constantly. In a lot of video games you’d be forgiven for forgetting the tunes because they sound so similar, but that’s definitely not going to be a problem with this one. Each world’s array of tunes really help capture the atmosphere that the game is going for. As expected the level designs are also on point. They are created well so you can fast blast through the levels with a lot of cool acrobatics or you can explore and find all of the collectibles. There are a lot of them to find after all, but they are put in places that makes sense. If you are looking carefully then you’ll find the ones that you’re looking for. Meanwhile the gameplay is just as solid. The movements are all very fluid and you won’t have a problem making tight maneuvers. It really is a world of difference playing the NSMB games compared to the really old ones where even the simplest of jumps was very difficult. There’s definitely a lot of content in this game as well. Between the many levels and collectibles you’ve got enough content to last you around 10 hours. Then you’ve got Luigi mode which almost doubles the amount of content that you have access to. The way they handle it is pretty cool as they don’t just reuse the levels. They’re all altered to fit in the space of half the timer so you can’t take a break to check out the scenery. You’ll want to run your way to the end to beat the timer. Getting used to the physics also means that you’ll need some time to adjust. The game never gets all that difficult and you’ll beat all of the levels after attempting them a few times, but it does add a little spice to the usual formula. The best item in the game is definitely the flying variation where you get an extra jump. You can use that to get really far in just about every level. Watch as the villains turn away in fear when you just jump over em! This even works against Bowser’s first form as you can just jump over him and hit the Axe. Otherwise you can just run in when he jumps so either way you should be all set for action. Watch out for the final boss as well, you’ll want to bring your A game for that one. While Mario Maker seems to have probably ended this series I’m glad that it still got another hurrah. There will always be room for more Mario games and what style can possible be better than New Super Mario Bros? Mario does tend to take many styles over the years so I am actually looking forward to what’s next. The recent Yoshi and Kirby artstyles do have me a little worried as well, but I have to trust in Nintendo and their passion to improve. 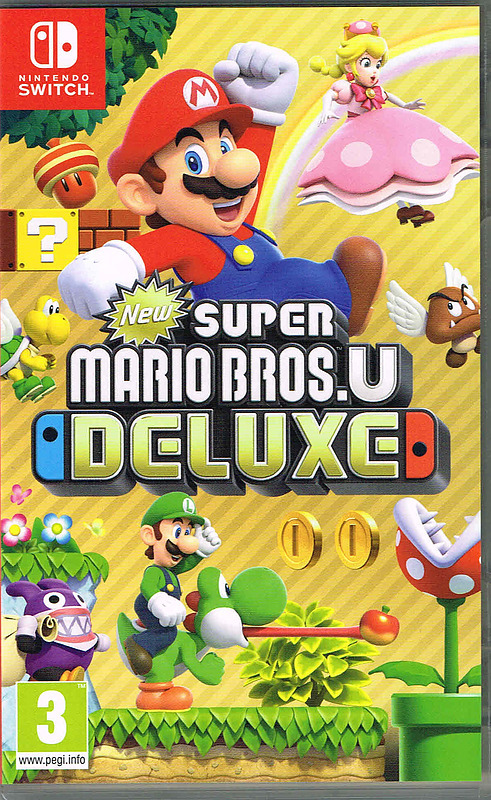 Overall, New Super Mario Bros Deluxe is definitely a game that I’d recommend checking out. There’s a lot of fun to be had with it and the levels are pretty intense. It’s a very complete Mario game and you really can’t go wrong there. The only way you won’t like this game is if you simply don’t like the classic Mario games or platformers in general. Of course in that case you have to wonder why you would buy this game in the first place. Maybe you just wanted to see what the hype was all about? Regardless, I think you’ll be embracing the hype by the end as Nintendo did not phone this one in. It’s time to take a look at a Star Wars game that is likely forgotten to time by now. Lethal Alliance was one of the few Star War titles that I did not own before now. It was in the way of my marathon so it’s good to finally own it. You can expect more Star War reviews soon but lets not get ahead of ourselves. Lethal Alliance is a very solid game that is held back a bit by sloppy gameplay mechanics. (The game also crashed during the second last level but that was more due to my PSP’s faulty battery than the game) I do like the ideas behind the game and the plot is solid. The plot follows a girl who is trying to enact revenge on one of the high ranking members aboard the Death Star. To this end she has made an alliance with the rebellion and will aid them as long as their goals are aligned. She will quickly find out that this goal is a lot more difficult than it appears as there are many enemies in the Empire and overcoming them will not be easy. 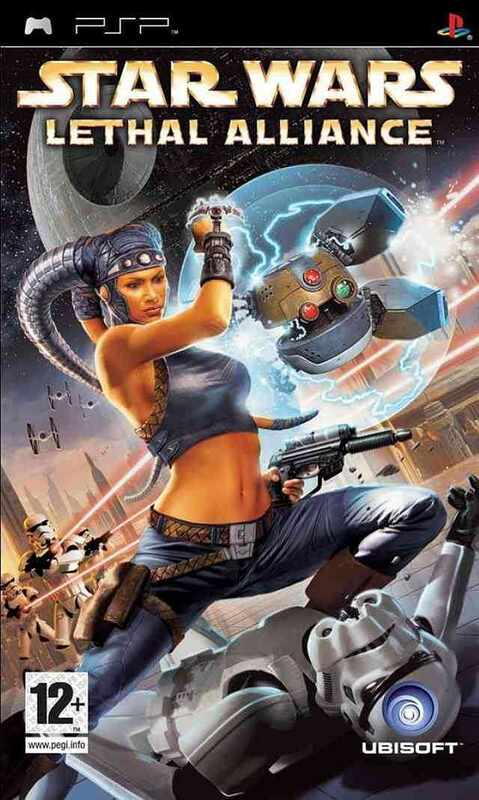 She has no Force abilities, but has a lifetime of combat experience and gun skills to aid her. Throw in her motive of revenge and she is ready for the task. 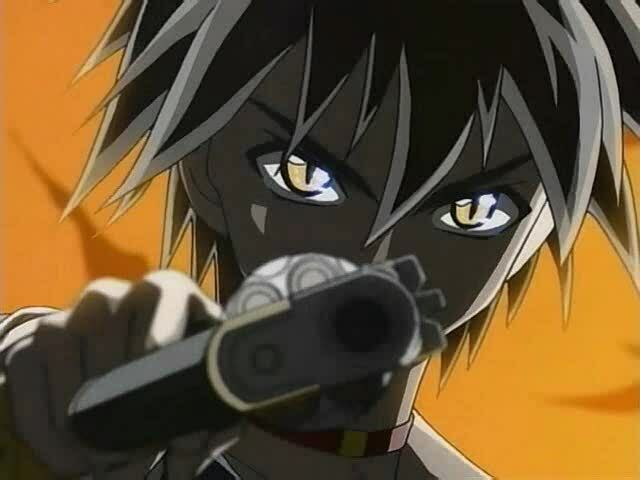 The gameplay is sort of like Bounty Hunter as the main character uses a gun to fight most opponents. You can also switch to the Lightsaber when you’re in close quarters combat, but for most of the game it is a lot easier to just gun spam. The title gives you a lot of freedom in how you fight though so I’m not saying that it is impossible to fight that way. You can certainly find quite a lot of success with the blade as well. You also learn new moves after every few levels although I never really used them. It’s nice to have options of course, but give me a good one and I’ll likely just start spamming it. What hurts the gameplay is the platforming part. I feel like it was tacked on after the fact. It’s hard to turn without moving quite a bit which ultimately ends up with you falling off the cliff. At that point you have to go all the way back to the last checkpoint which can get annoying after a while. I also think this aspect of the game doesn’t add anything since the combat moments are the best anyway. Likewise there are some times where you control the drone and they aren’t challenging or inventive so I feel like it was just a waste of space. More content isn’t always a good thing after all. It’s a shame since the combat is air tight. While playing as a Jedi is always the best I also like playing as these bounty hunters. It’s a pretty fun change of pace and you get to deal with overwhelming odds. Of course, this lead has a lightsaber so it’s a little different. One of the best parts of Bounty Hunter was having to fight a Jedi master while only having guns and normal armaments to fight with. It’s just such a cool concept even if you should have no chance in such a scenario. The graphics definitely look good. It’s going for a bit of a realistic look so we don’t get a lot of flashy visuals, but there’s a good amount of detail. We also get some cutscenes which is always fun. One of them is unintentionally humorous though as you get ready for a big fight with the main villain and then the heroine wakes up in jail. I suppose you can’t always win all your fights with ease. Still, she managed to rebound after that and did her best to keep on going forward. I definitely think she succeeded as a lead and I liked the twist at the end. Her character is ultimately pretty important in the mythos although it was likely completely retconned by now. While the soundtrack isn’t the most original as it loves to re-use movie themes (Like a lot of the games for this franchise) you never get tired of hearing Vader’s theme. 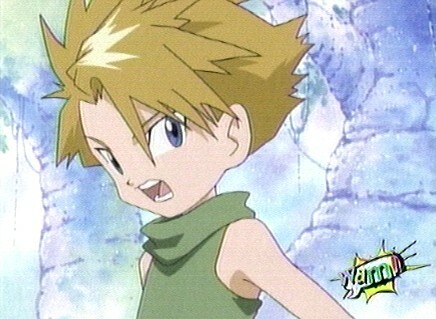 The voice sounded like him too so it’d be pretty neat if they managed to get the same actor to voice him. The game is fairly short and there are no collectibles/no post game so there isn’t any real replay value to be found. It’s long enough where I wouldn’t feel cheated if I ended up buying it at full price. Nowadays it’s certainly cheaper provided you can find it in stock at least. There are two points in the game that are a bit annoying though so watch out for them. One is a puzzle element in a level where you have to find a way down from a high up building. I don’t even know how I made it down (I just kept jumping til I landed on something) and it didn’t feel much like a puzzle so much as just a poorly designed level. Then the other iffy part is the final boss where the only way to beat him is to use one of the many abilities you learned through the game. Problem is that I never used this one before. It took forever to finally learn how to activate it and that dragged the game out a bit. Surely the game could have let me know how to use the combos or some kind of guide right? You’re expected to remember them all. Overall, Lethal Alliance is a pretty fun Star Wars game. It’s a shame that it basically fell under the radar though. I think that’s probably because in general the PSP never got all that big (relatively speaking) so the games are typically not brought up day to day. Still, this is one game that has aged very well and it would be cool to see a big budget remake for the PS4 or something. If you haven’t played this game yet then I highly recommend changing that. Yuri’s done well so far but now it’s time for him to take a loss. Train is an exceptional hand to hand combatant in his own right and his superior speed would make this an easy win. Yuri can take on other boxers no problem, but taking on Train is a completely different story. Train could also take out his gun and win that way, but at a matter of honor I think he’d take this in close quarters combat. Train wins. 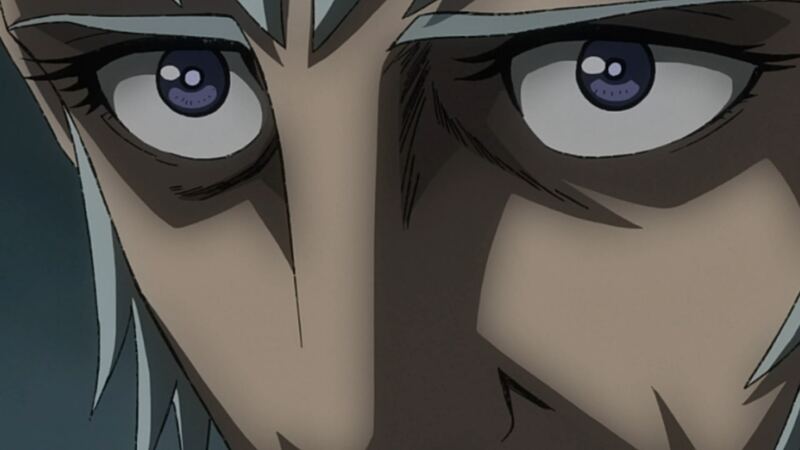 Yuri has returned and now he is fighting one of the most well known cosmic beings of all time. 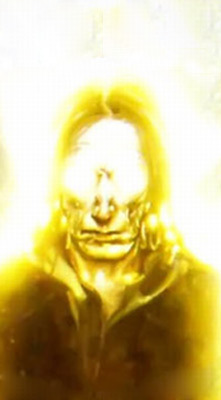 One Above All is incredibly powerful so he is certainly not a being that you want to cross. Still, I don’t think he will actually be able to land any meaningful hits on Yuri. Yuri’s a professional boxer so he can dodge TOAA’s punches and counter attack. TOAA has no real defense so the attacks will take him down. 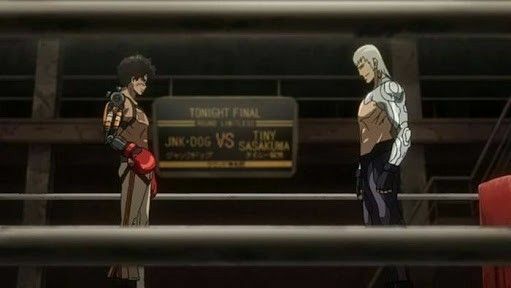 Yūri (Megalo Box) wins. It’s time for Yuri to make his debut on the blog. He’s definitely an excellent boxer who managed to make it to the top of the ranks on skill alone. He definitely won’t be losing very easily here. 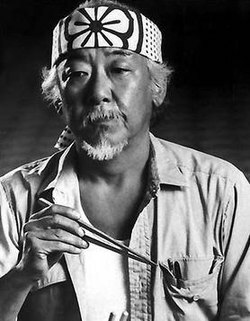 Mr Miyagi is an expert at karate though so it’s not like this will be a cakewalk either. It’s really a question of whether or not Miyagi can keep up and I just don’t think that he has enough speed to do so. A few punches will end this. 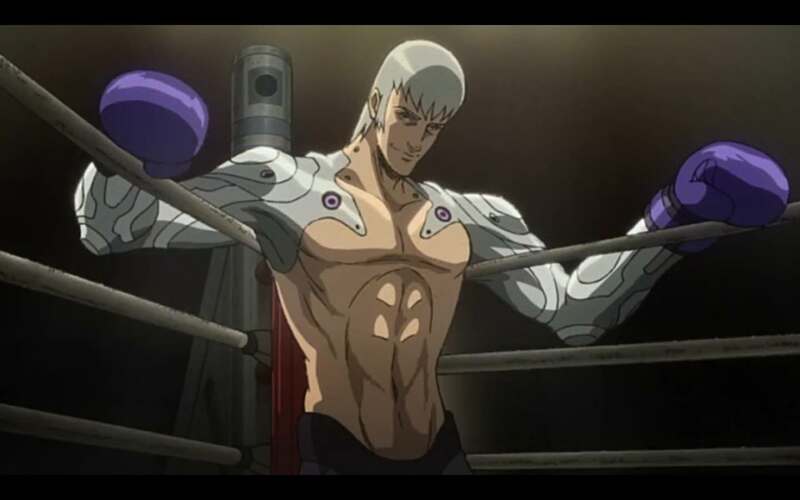 Yūri (Megalo Box) wins. This is a tribute to Digimon Adventure Tri:Future as well as the 13th Ghost of Scooby Doo. Shaggy definitely isn’t the bravest guy around but even for him it’s definitely not a good move to lock away someone’s emergency phone for years. Meanwhile Matt did the best he could to lead the team in trying times so you gotta give him some props there. In a fight the outcome is certainly clear from the start. There is really nothing that Shaggy can do to try and take the win here. Matt wins.